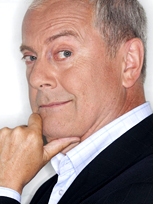 Gyles' has a dynamic career history, ranging from the former Whip and Lord Commissioner of the Treasury in John Major's government, to a West End performer. Gyles Brandreth is a writer, broadcaster, actor, former MP and Lord Commissioner of the Treasury, now Chancellor of the University of Chester and one of Britain's most sought-after award ceremony hosts and after-dinner speakers. A veteran of QI and Have I Got New For You, a reporter on The One Show and a regular on Just a Minute, his many books include The Oscar Wilde Murder Mysteries and two recent best-sellers. A former Oxford Scholar, President of the Oxford Union and MP for the City of Chester, Gyles Brandreth’s career has ranged from being a Whip and Lord Commissioner of the Treasury in John Major’s government to starring in his own award-winning musical revue in London’s West End. A prolific broadcaster (in programmes ranging from Just a Minute and Wordaholics to QI and Have I Got News for You), an award-winning interviewer and columnist (principally for the Telegraph and Daily Mail), a novelist, children’s author and biographer, he has published two volumes of diaries: Breaking the Code: Westminster Diaries (‘By far the best political diary of recent years, far more perceptive and revealing than Alan Clark’s’, The Times) and Something Sensational to Read in the Train: The Diary of a Lifetime (‘Witty, warm-hearted and deeply poignant’, Daily Mail). He is the author of two acclaimed royal biographies: Philip & Elizabeth: Portrait of a Marriage and Charles & Camilla: Portrait of a Love Affair, and a series of Victorian detective stories, The Oscar Wilde Murder Mysteries, now published in twenty-two countries around the world. His recent Sunday Times best-sellers include Word Play, a celebration of the English language, and The 7 Secrets of Happiness – No 1 on Amazon. His on-line course on Happiness is available from Gravy for the Brain together with a course co-authored with his son, rhetoric coach and barrister, Benet Brandreth QC, on Mastering Public Speaking. His one-man shows have won multiple five star reviews at the Edinburgh Fringe and tour regularly throughout the UK. As a performer, Gyles Brandreth has been seen in the West End in Zipp! One hundred musicals for less than the price of one at the Duchess Theatre and on tour throughout the UK, and as Malvolio and the Sea Captain in Twelfth Night: The Musical at the Edinburgh Festival Fringe. In 2011/12 he played Lady Bracknell in a new musical version of The Importance of Being Earnest and in 2017 appeared in Hamlet at the Park Theatre in London. 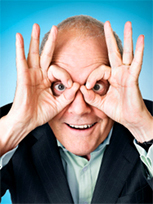 Gyles Brandreth is one of Britain’s busiest after-dinner speakers and award ceremony hosts. He has won awards himself, and been nominated for awards, as a public speaker, novelist, children’s writer, broadcaster (Sony and Royal Television Society), political diarist (Channel Four), journalist (British Press Awards), theatre producer (Olivier), and businessman (British Tourist Authority Come to Britain Trophy). He has featured on This Is Your Life and Desert Island Discs and is a former chairman and now vice-president of the National Playing Fields Association. In 2017 he succeeded the late Duke of Westminster as Chancellor of the University of Chester. He is married to writer and publisher Michèle Brown, with whom he co-curated the exhibition of twentieth century children’s authors at the National Portrait Gallery and founded the award-winning Teddy Bear Museum now based at Newby Hall in North Yorkshire. His son, Benet, is a barrister, award-winning speaker, authority on rhetoric and author of two acclaimed novels about Shakespeare's lost years: The Spy of Venice and The Assassin of Verona. His daughter, Aphra, is an environmental economist and local politician. With his daughter Saethryd and grandson Rory, he is the author of a compendium of family games, The Lost Art of Having Fun. With Saethryd, he has also created Novelty Knits, a celebration of the colourful jumpers he was noted for wearing on TV in the 1970s and 1980s. Gyles Brandreth’s forebears include George R Sims (the highest-paid journalist of his day, who wrote the ballad Christmas Day in the Workhouse) and Jeremiah Brandreth (the last man in England to be beheaded for treason). His great-great-grandfather, Benjamin Brandreth, promoted ‘Brandreth’s Pills’ (a medicine that cured everything!) and was a pioneer of modern advertising and a New York state senator. Gyles Brandreth has been London correspondent for “Up to the Minute” on CBS News and his books published in the USA include the New York Times best-seller, The Joy of Lex, as well as The Oscar Wilde Murder Mysteries (Simon & Schuster) and The 7 Secrets of Happiness (Open Road Media).